It’s great watching children play; they seem to have limitless imaginations when it comes to amusing themselves. Research has identified several types of play that children engage in, each of which gives them different benefits. In socio-dramatic play, a child recreates events or situations he has seen or experienced. This is distinct from dramatic play, wherein the child copies a scenario he saw in films or on TV. There may be a personal element to the situations your child dramatizes, and they can be as simple as doing the laundry or as complex as a detailed account of a family event. Socio-dramatic play can help your son develop his fine motor skills. Whether he’s dressing toys or fixing an engine, he’ll be improving his ability to manipulate small objects. You’re likely to see the biggest benefit in his cognitive skills. Because he is using his imagination and creativity to construct his scenarios, his memory improves as he recalls the finer details of the events he’s recreating, as well as the sequence of actions he must go through. Pretending to take a shopping trip will help his counting and sorting skills, and preparing dinner will make him more familiar with the names of food and cooking items. When he’s playing with others, he uses his communication skills to explain what he wants others to do, discuss his actions, and play his role. He also has a chance to brush up on his negotiation and conflict-management skills. Socio-dramatic play also is a good way for him to deal with situations he might find scary. For example, taking a pretend trip to the doctor or dentist can make the real thing less frightening. 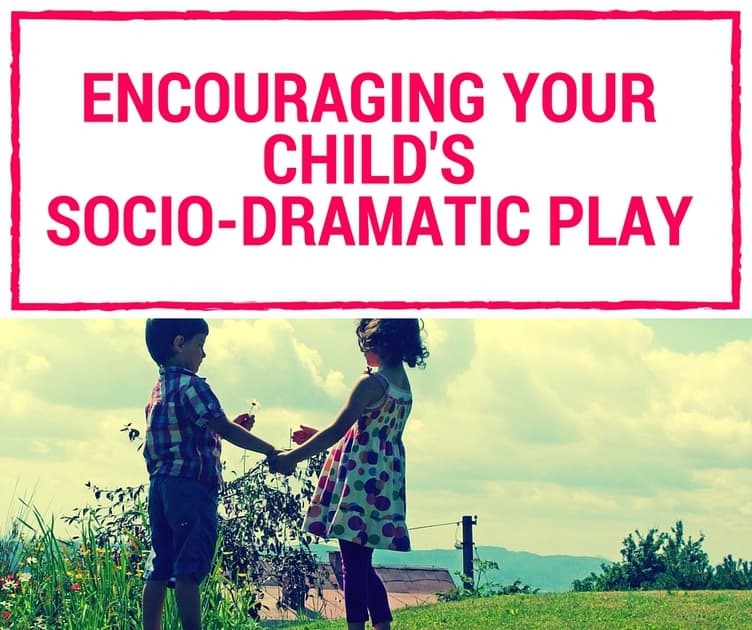 It’s easy to support your son’s socio-dramatic play by giving him the time to play, space to create his world, and access to props such as toy kitchens, dolls and prams, or play shops. You can give him a strong foundation for his ideas by talking to him about what you’re doing when you’re carrying out tasks and letting him help whenever possible. Listening to him explain how he would deal with a situation allows you to gauge his understanding of issues such as stranger danger, why stealing and violence are wrong, or what he should do if he gets lost or needs to cross the road. This will help you determine where he needs more input or support. The answers he seeks will be more meaningful and memorable when you let him take the lead and work through the options himself. Your son might look as though he is playing at being a grown-up. However, this play is what lets him learn and rehearse the skills he’ll need in the adult world. So, what’s for dinner?